The Museum is open Saturdays from 12 PM to 4 PM and Sundays from 12 PM to 4 PM for the winter season. New phone number as well - 716-265-2109. The Museum is wheelchair accessible. Guided tours for groups are available by prior arrangement. The Salamanca Rail Museum is a fully restored passenger depot constructed in 1912 by the Buffalo, Rochester and Pittsburgh Railway. Through artifacts, photos and video presentations, you can experience an era over 90 years ago, when rail was the primary mode of transportation from city to city. The rich red oak wainscoting and two-story sky-lift ceiling of the building's main lobby reflects an era of simple elegance. The ticket office, which is authentic right down to the office furniture and telegraph keys, gives the feel of a time of bowler hats and bustle dresses, of traveling business people in a rapidly expanding early 20th century economy. 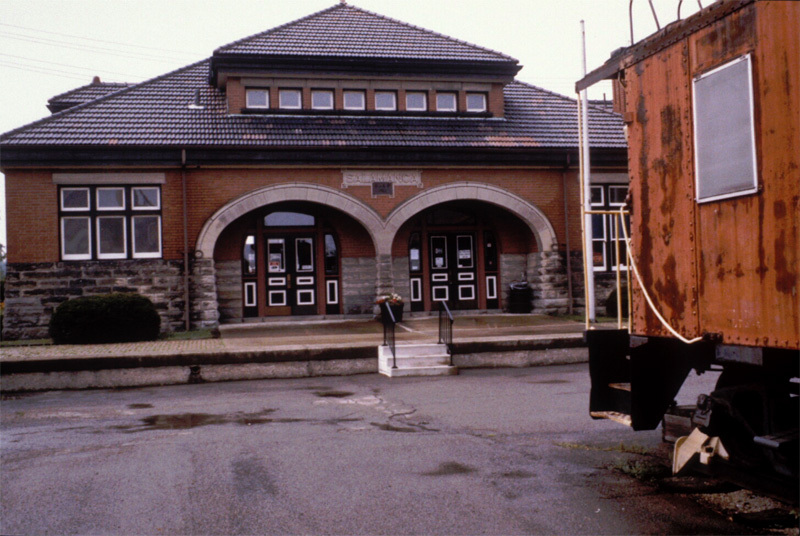 The Rail Museum building was acquired in 1980, a vandalized vacant shell that had stood idle for over 20 years. Using a combination of private donations, government funds, and volunteer labor, the building was brought back to its original appearance. From the brick-walled baggage room to the multi-windowed "Ladies Retiring Room", everything in the building is either a restored original or an exact duplicate based ont he original architectural plans. The museum exhibits show nostalgic railroad pieces with an emphasis ont he three railroads that served the region; the Erie, the Baltimore and Ohio (BR&P), and the Pennsylvania Railroads. The museum is open for memberships; admission is free, but donations are appreciated.